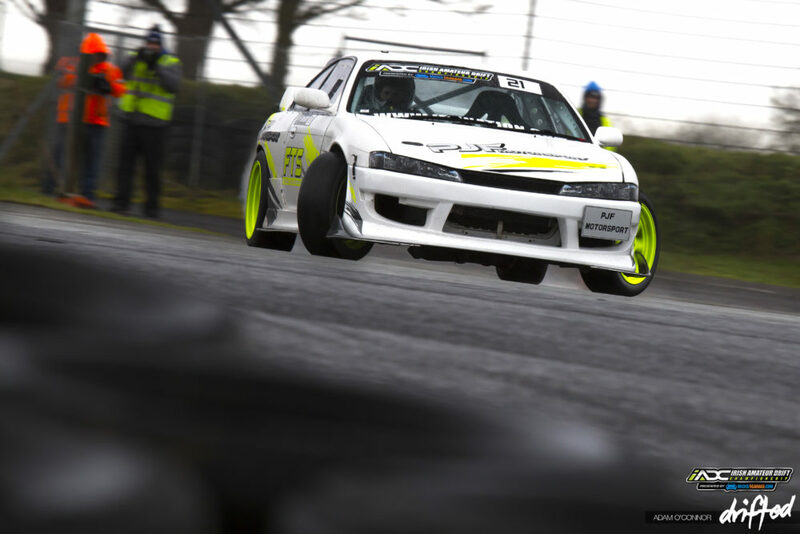 We have surpassed the penultimate round of the Irish Amateur Drift Championship and I figured what a perfect time to look back on what this season has thrown at us. 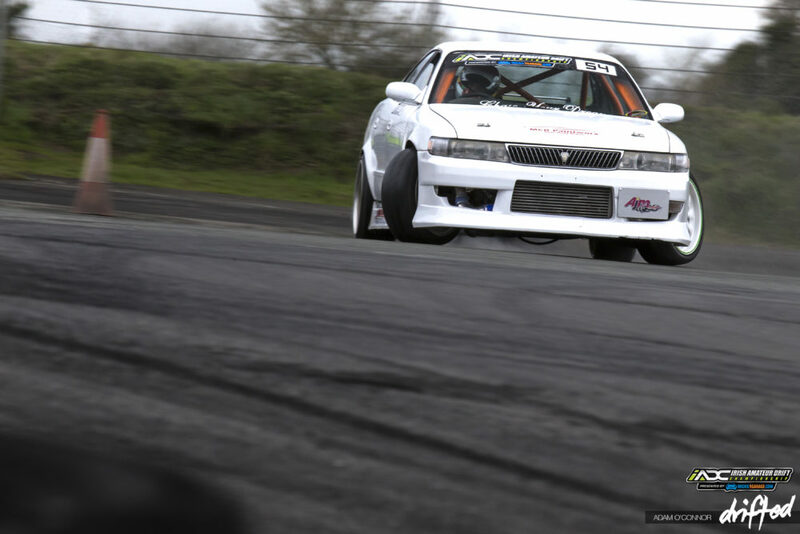 The Championship was designed and implemented as a feeder series for the Irish Drift Championship. A way for track day heroes to dip their toe into competitive action before taking a big leap. But what has become belligerently clear from the offset was that the series was amateur in name but little else. 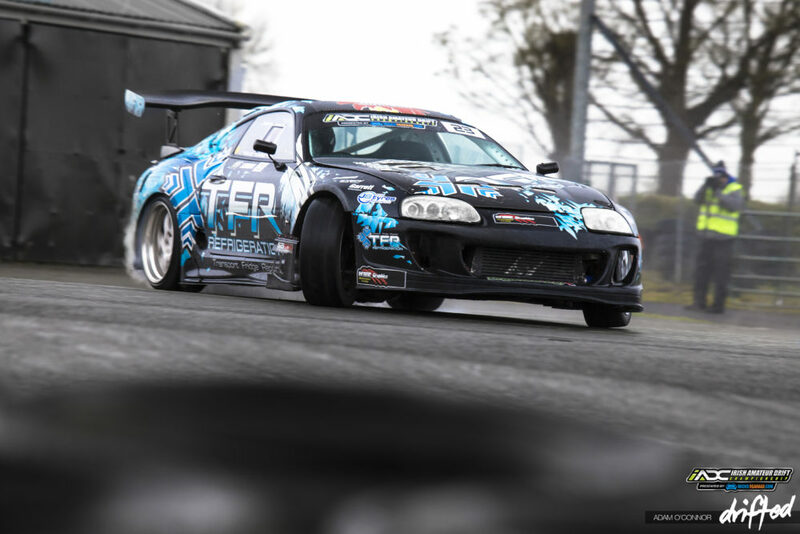 From 1000hp Toyota Supras and wide body WiseFab machinery filling the paddock and the talent behind the wheel to match. We will see the first batch of previous Irish Amateur Championship competitor who qualified for a Semi Pro license take to the grid this April. They are not there to make up the numbers, they’re there to compete and push drivers who may have been complacent in recent years to strive for more. In order to entice drivers to the championship, limits are placed on tyre size and must be road legal to equal the playing field and tracks have been “simplified” to accommodate all skill levels. 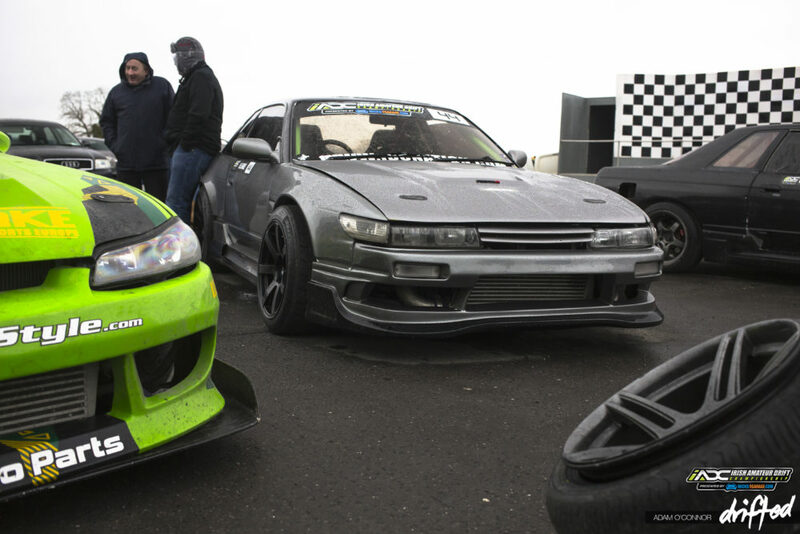 This past weekend saw Round 3 taking place for the first time ever within the carpark of Mondello Raceway in Kildare, Ireland. 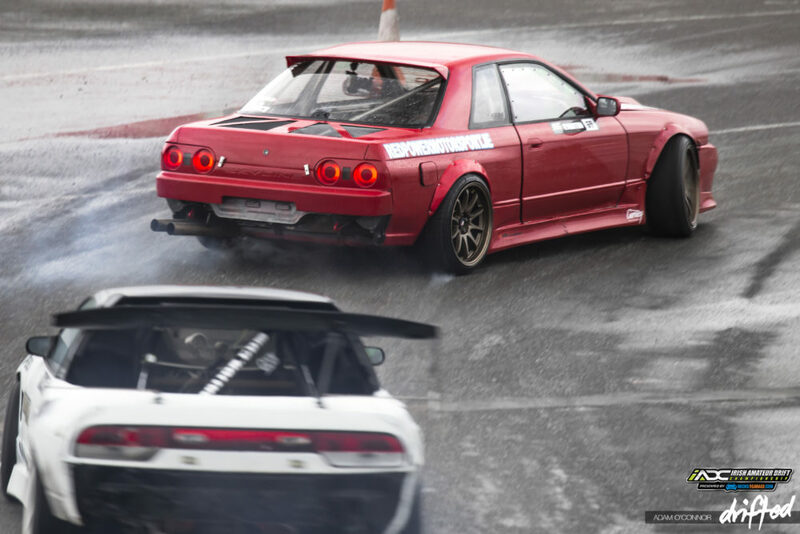 The carpark itself has been utilized for the Prodrift Academy for many years, and has seen thousands of laps day after day. Shortly after it was announced, many drivers felt the track was the easiest yet and would be simply to master in no time at all. But all was not as it seemed. Satellite photos showed a wide swiping initiating into a slow and technical teardrop hairpin with a number of clipping boxes thrown into the mix. But what was to come was unfavorable downpours shattered throughout the day creating large ponds dotted around the track followed with dry sections. 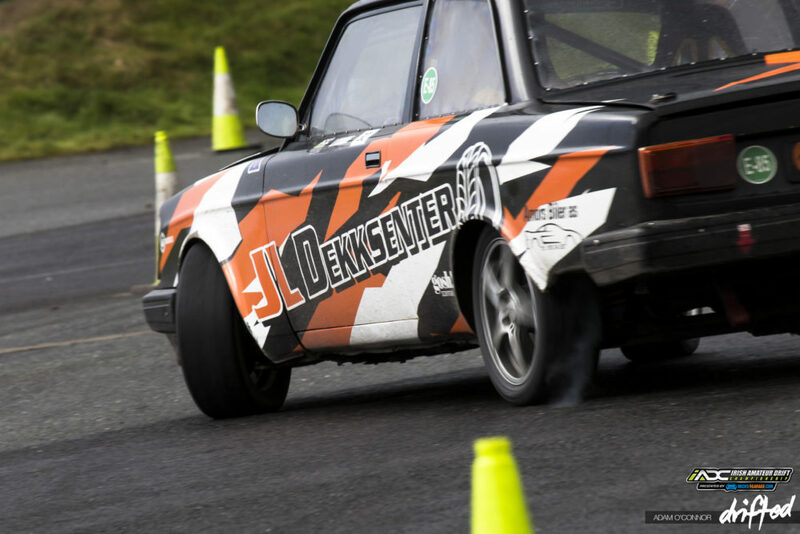 Uneven surfaces on initiation would unsettle the car, and an off camber clipping point would push car control to the edge. And now that we are down to the business end of the Championship, points mean everything in order to make sure drivers earned one of only 10 Semi Pro licenses up for grabs. The wounds must still be fresh from last year for Ryan Mortan and an unfortunate faith saw him miss out on the highly contested license, by not only 1 Championship place, but only 1 point. This loss has spurred him on to come back better than ever. He now sits 1st in the Championship with 1 round left. In the words of a famous Irishman, “We’re not just here to take part – we’re here to take over.” The Semi Pro license may already be in the bag, but he is now focused on claiming the top spot. 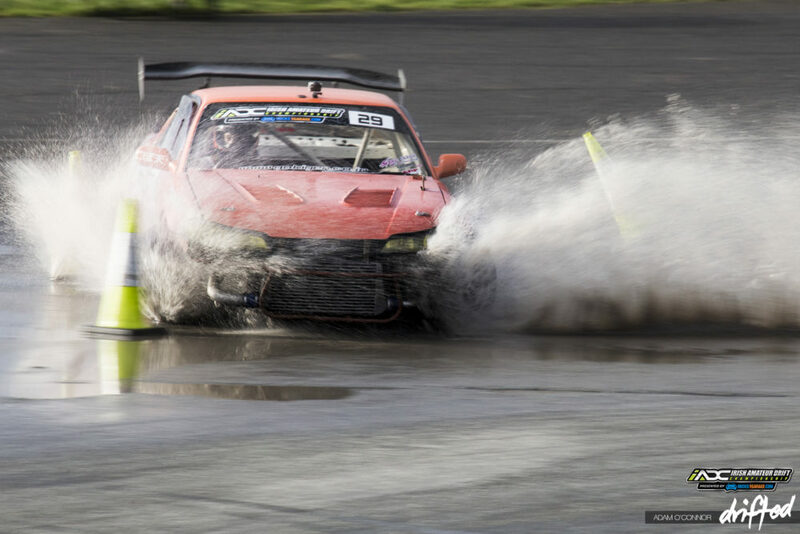 The Irish Drift Championship is known for its undefeated streak against a plethora of International talent. It would only seem fit to have an European challenger for the amateur title. 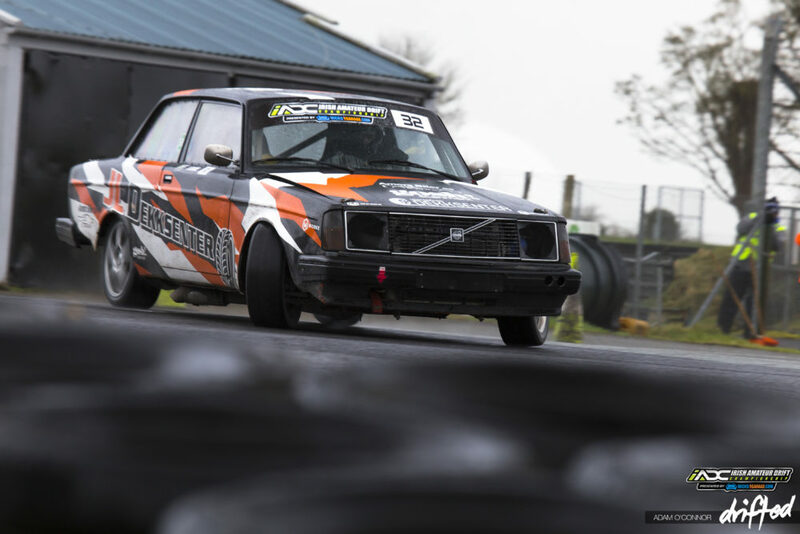 Jonas Lunde and has 2JZ powered Volvo have travelled all the way from Norway to contest a full season of track action. The most fantastic thing about Jonas’ attendance at the IADC is that, it is quicker for Jonas to travel to and from to compete in Ireland for each round, as it would be to get to his local racetrack in Norway. That and the higher level of competitiveness within the IADC means that he will progress at a higher rate. Progression flows downward. 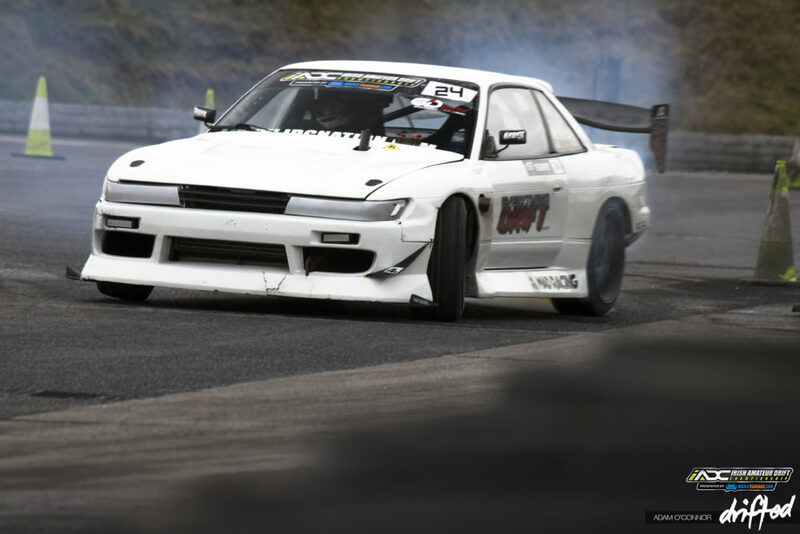 The harder and faster the top level pushes the boundaries of drifting, the lower ranks follow suit. 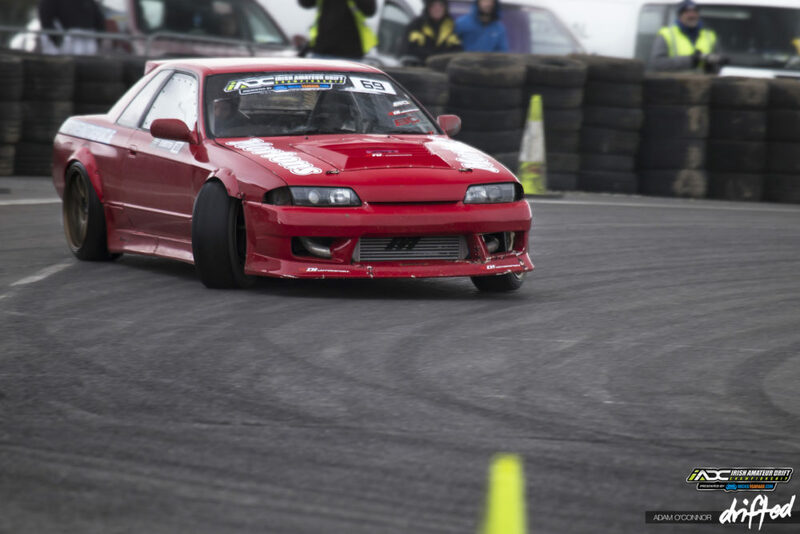 Some much so, that the Pro level machinery of years gone by have reared their head for a new lease of life to teach a new class of Irish drifting. Top level Pro spec cars from only a few short years ago, now find themselves middle of the pack in terms of performance, such is the speed of progression within Ireland. Johno Hares’ Westlake Tyre S15 would easily slot into any Pro grid almost worldwide and to see him go clip to clip with any competitor is a joy to watch. The eagle eyed Irish drift fans out there would recognize this particular AE86 for being one of the famous Hachirokus to compete in Irish drifting. 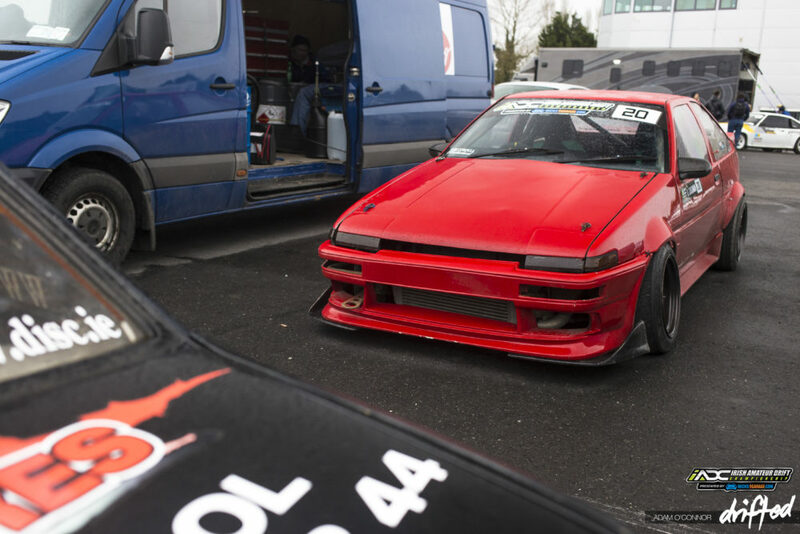 Previously piloted by Eric O’Sullivan in the foundation years of drifting in the Emerald Isle and more recently Team Dealtwidth’s Brian Egan, a new lease of life lets the AE86 live on. But as much as performance is pushed within the Championship, it is currently a man with 210bhp and the basics nailed down that spearhead the point’s table with 1 round left. Consistency is key and that’s where his nearest opponent comes close behind. Darragh McElroy has positioned himself in second place with consistent scores on the board. He took top spot at Round 2, but outside of this has quietly plugged away good results and finds himself in tight contention in the final showdown. 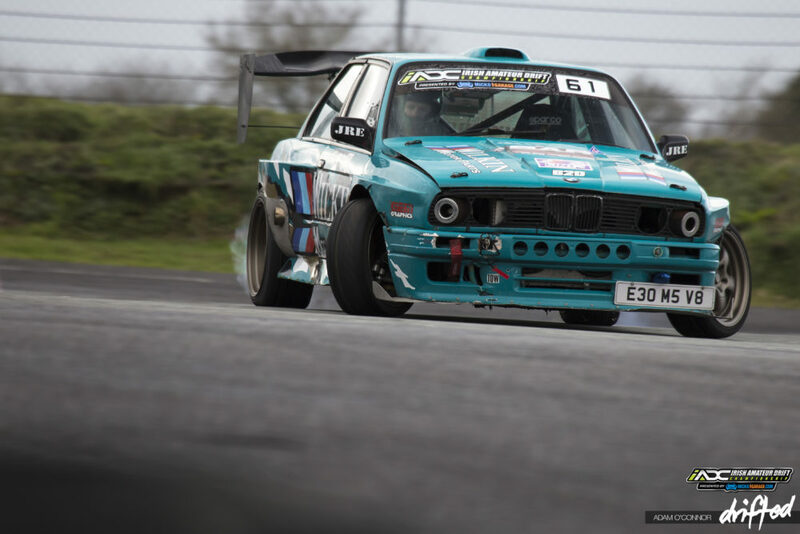 Rounding out the top 3, Joseph Roberts and his V8 powered E30 BMW. Mathematically a total of 5 drivers are still in contention for the Championship and a different man atop of the podium for each round so far gears up for a great showdown in March. The end is in sight and for some drivers a much needed rest is already booked in. At the end of March, drivers will have completed 8 rounds in 12 months, all self funded and running their own driver programmes. 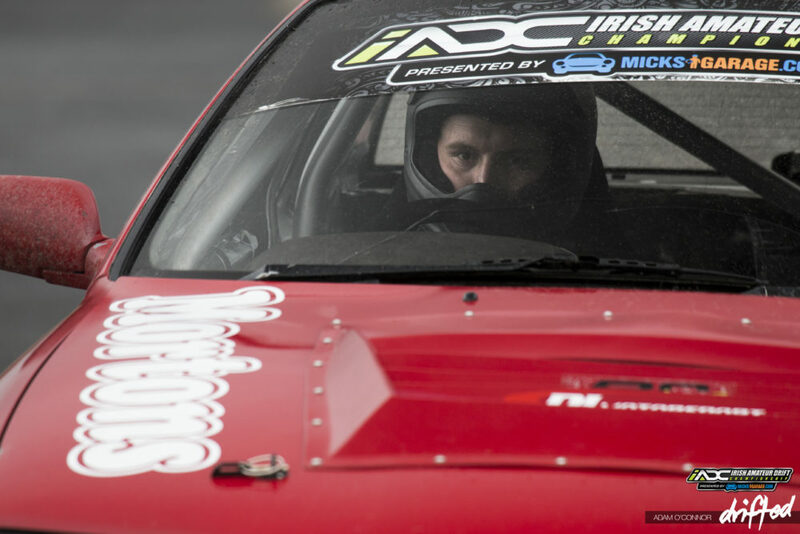 Although those who will have earned their Semi-Pro licence will have to start all over again, with the Irish Drift Championship just around the corner. One thing I can safely say at this stage is drifting in warmer summer times is going be very welcomed for drivers, spectators and organisers alike. Stay tuned for what goes down in the IADC Round 4 soon. 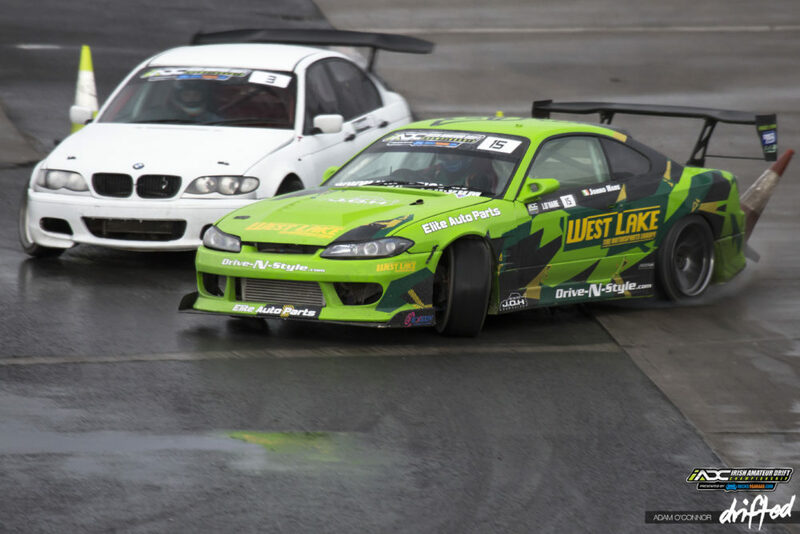 « Keiichi Tsuchiya Touge Battle!